Redeeming your coupon code is as easy as one - two - three. 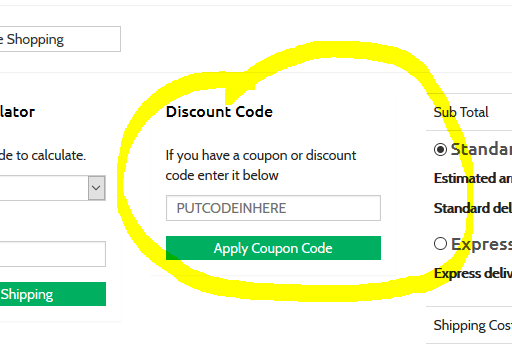 Your coupon code might have a requirement, like minimum spend or certain products so you're best to start with adding those products to your cart first. Visit the shopping cart view page and scroll down to the coupon code section. Add your coupon code and click the apply coupon code and your coupon code will be applied!